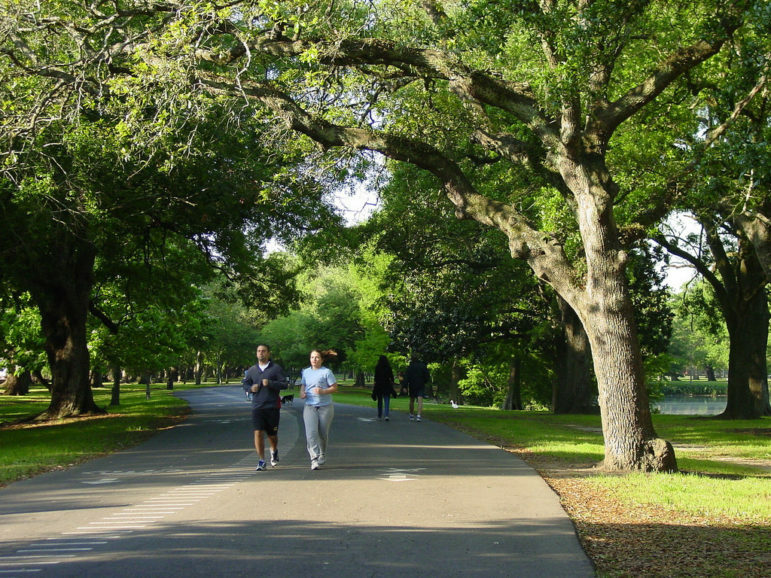 A running path beneath overarching oak boughs is one of Audubon Park’s most popular features. As stewards of the iconic gathering place that UNO historian Joseph Logsdon called Uptown New Orleans’ “urban Eden,’’ Audubon commissioners are steadfast in their commitment to maintain equilibrium between passive greenspace and space set aside for recreation. Another unfounded concern is that Audubon Park is accessible only to citizens of a certain income. 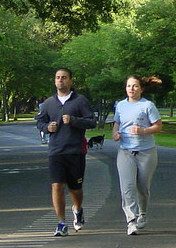 From the park’s bustling, 1.8-mile path for walkers, runners and bikers to the peace and quiet of oak-lined lagoons to the picnic shelters and playgrounds that have welcomed families for generations, there is significant space for those who want to exercise outdoors or find inspiration in a tranquil setting. The Fly’s manicured soccer and baseball fields offer an outlet for thousands of youngsters of all socio-economic strata to stay healthy and develop their athletic skills against an idyllic backdrop. Another unfounded concern is that Audubon Park is accessible only to citizens of a certain income. Visitors on any day can clearly see that the park is accessible to all. Finally, the suggestion that the Audubon Commission is interested in proliferating “amenities’’ in Audubon Park must be dismissed out of hand. No such philosophy exists. 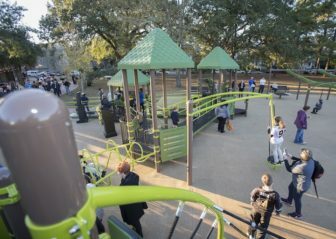 Among park amenities is a playground for children, including those with special needs, donated by the Drew Brees Foundation. Based on the views expressed by park users at three recent public meetings and more than 1,000 comments online, it is clear the public wants Audubon to preserve the balance that exists while also addressing issues such as drainage and lighting and safer access to and from the park across Magazine Street. As we look ahead, Commission members want to continue hearing from the diverse community that uses Audubon Park. It is one of the glimmering jewels of our city and we’d like to hear suggestions on the best ways to preserve and enhance it. We urge everyone – both locals and visitors alike – to take part in this planning process. Please visit our website, take the online survey and attend our remaining public hearing Wednesday May 16 beginning at 6 p.m. in the Audubon Tea Room. For more than 150 years, Audubon Park has been a place for making memories. As we prepare to celebrate the 300th anniversary of our beloved city, we want everyone’s help to ensure that Audubon Park maintains its status as that special place. J. Kelly Duncan is President of the Audubon Commission.